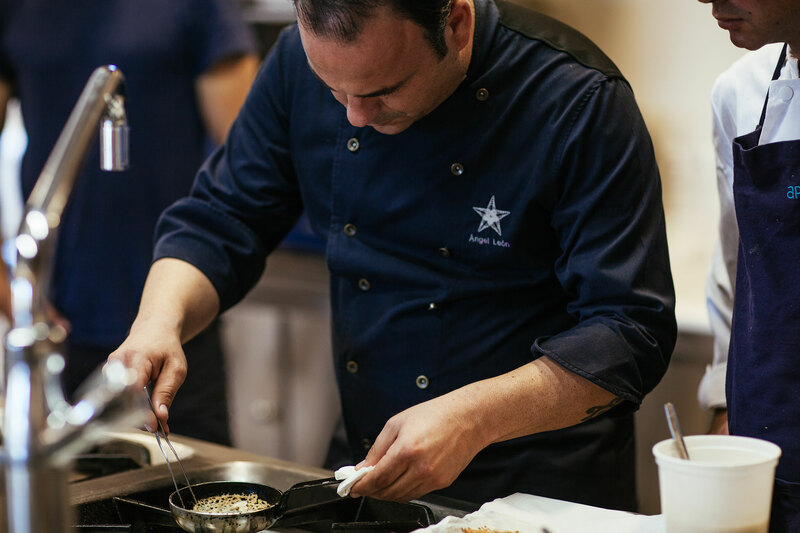 The second chapter of our culinary series is an ode to the extraordinary world surrounding the Andalusian chef Angel Léon’s avant-garde cuisine. 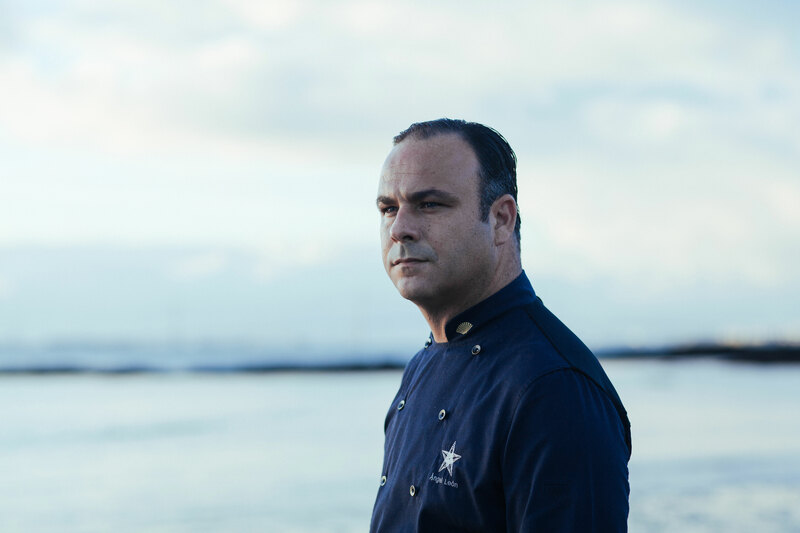 Better known as « El Chef Del Mar », the Michelin starred chef’s love of the sea and his innovative techniques has seen him become one of the best chefs in Spain. 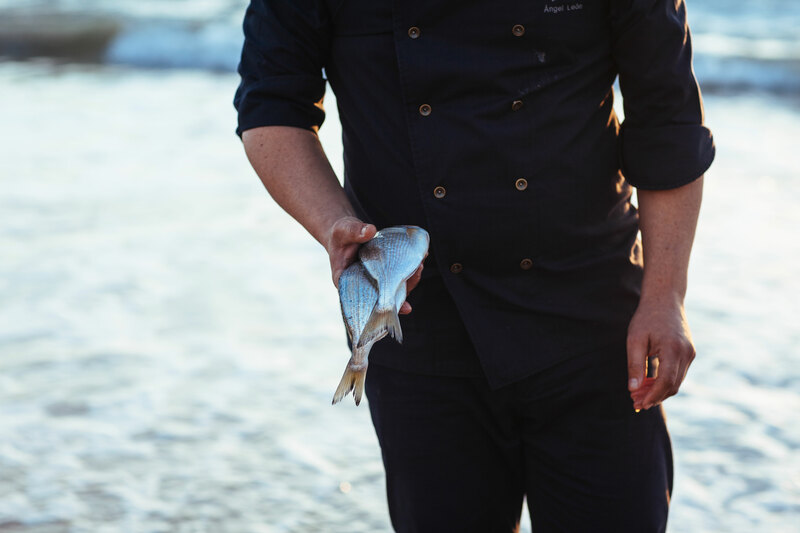 Considered today as a pioneer in combining inventive culinary creations, surprising marine flavors with products exclusively from the sea, Angel Léon has been able to re-ignite the debate on sustainable fishing. 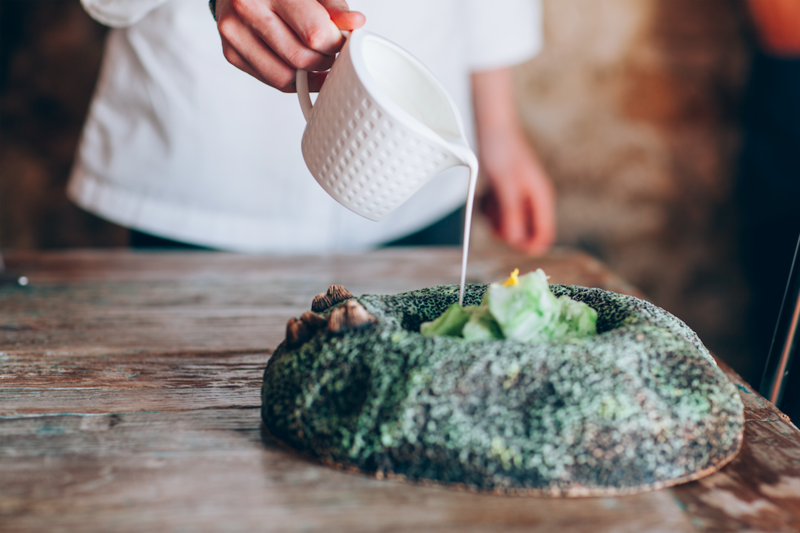 Famous for his exclusive seafood dishes, including plankton, the renowned innovator welcomed us to Aponiente, his restaurant near Cadiz, for a gastronomic immersion. How would you describe your relationship to the sea? The sea is a part of me. My dad taught me to love the sea. He was a great fisherman who’s always taken me out to navigate. We sailed the straits of Gibraltar, the coasts of Mauritania, the Norwegian fjords and discovered the deep Atlantic Ocean. I first fell in love with the sea, then fell in love with cooking. So I tried to find a way to combine these two universes. I created a micro-world in which I learned how to respect the sea and, above all, how to talk to it. Would you say you’re still learning from the sea today? The sea is the great unknown for human beings. It always teaches us. I still have so many things to learn from it. I believe there’s everything to be made and everything to discover from the sea. It is what inspires me the most; the fact that we don’t know anything about the sea. We are currently generating a new language to talk about it. It’s funny because people often consider me as an expert, however to the sea, I’m nothing but a novice. 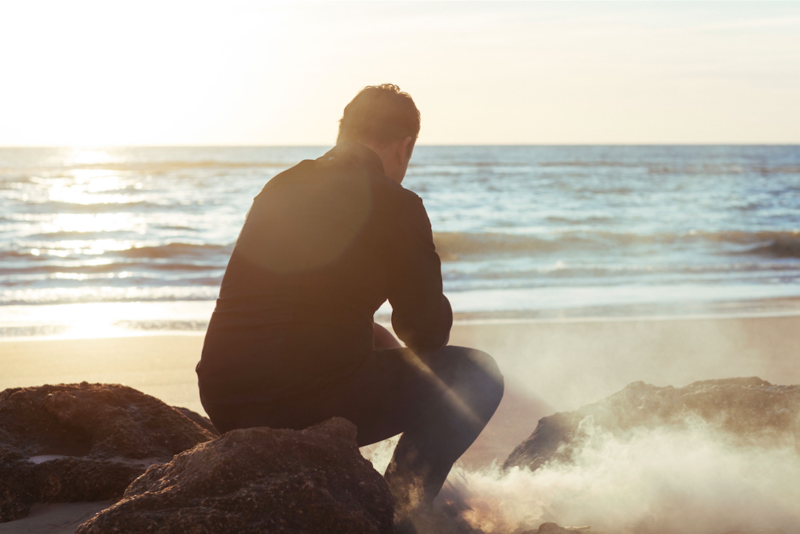 In which ways does the sea affect your creativity in your cuisine? I’m surrounded by a team of people who look at the sea differently than the rest of society do. With my crew, we want to be a mirror of the sea and tell our public everything you cannot hear or see about it. We are in a world where we don’t listen to ourselves. So it seems complicated to listen to the sea. However, we have to listen to it. Reinventing the sea is our big obsession. For example, we created fish sausages but they’re simply a way of showing fish in a different form so that people digest my innovative concepts more easily, without complaining. This way, I don’t have to explain what I do all day long (laughs). The sea is a continuous inspiration. I constantly work on opening minds and getting out of the traditional ways without losing the tastes. I always look ahead and go forward. We always try to forge ahead with concepts and try to teach people about the sea. You often talk about your kitchen as your “crew”. Can you tell us more about it? My crew is fundamental. Without this team of people, we wouldn’t be where we are. We are almost 50 people working to feed 35 everyday. There’s a serious compromise from everyone because they are in love with what I do. We invest a lot and believe in this project every single day. The reason why these people are here is clearly not for an economical or a geographical reason. We are not in NYC or in London. There’s no business here but there’s a real compromise, a lot of work and passion. Passion is the fuel that moves the world. My crew make efforts everyday to find a proper language to talk about the sea. 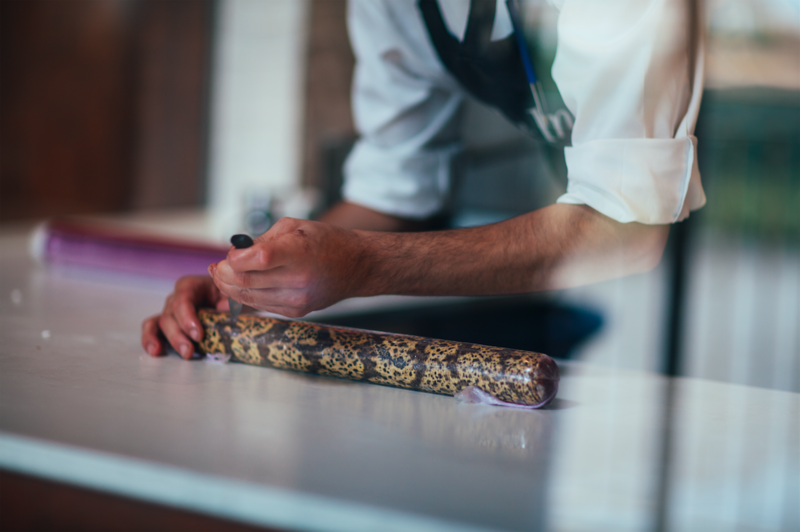 Tell us about Aponiente restaurant and your distinctive vision. 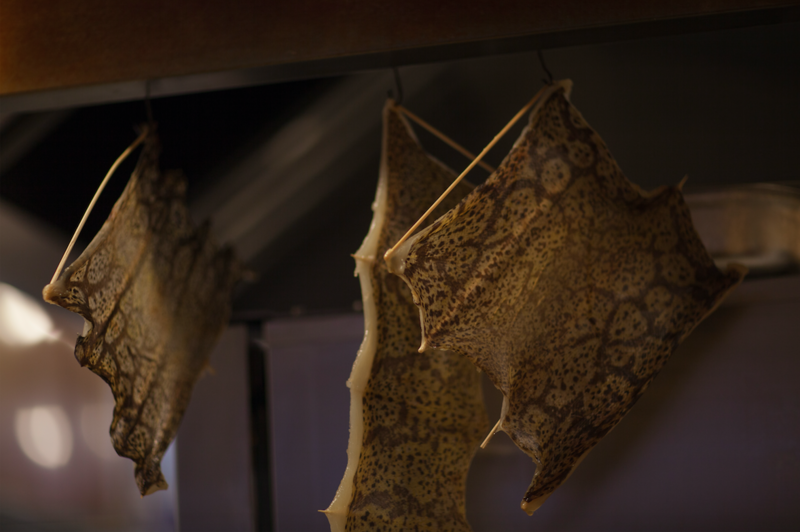 The work of Aponiente is understood now. But when I started, nobody understood it. Imagine 11 years ago, you go to a restaurant and you don’t see any known fish but, instead, you find the antithesis. All that fish that is normally thrown away, the large variety of marine species that are discarded, not usually sold in the supermarket and considered of no commercial value, the biomass, we would transform and cook it. That was the beginning of Aponiente. In the first 3 years, clients would come in and walk away because they didn’t understand our dishes and what we were trying to claim. At that time, we were swimming upstream, people didn’t understand our vision. The local public wasn’t yet ready for our innovative techniques, based on 100% of products from the sea. Those were very hard years. It was at the same time very emotional and exhausting, because we felt we were going against the current. Why did people’s reaction change after that? Thanks to time. Or maybe there’s a sensitivity towards our work today. After those tough beginnings, we started to progress. Progress was about taking all the things on earth, habits from human beings and submerging them underwater. The sea is not selective, you have to accept it how it is. That’s a strict condition we want to respect. To me, the most beautiful thing is that everything we use in our kitchen is collected from the sea. I’ve always wanted to pick up the maximum from the sea. There’s absolutely nothing that isn’t coming from the sea. I’m convinced that using fish discards and diversifying the species we fish contribute towards a more sustainable sea life. 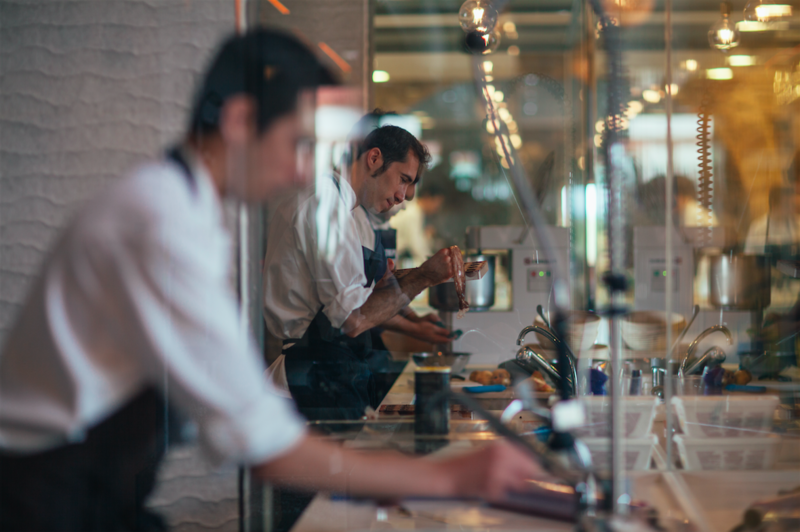 According to you, what is the main value of Aponiente? 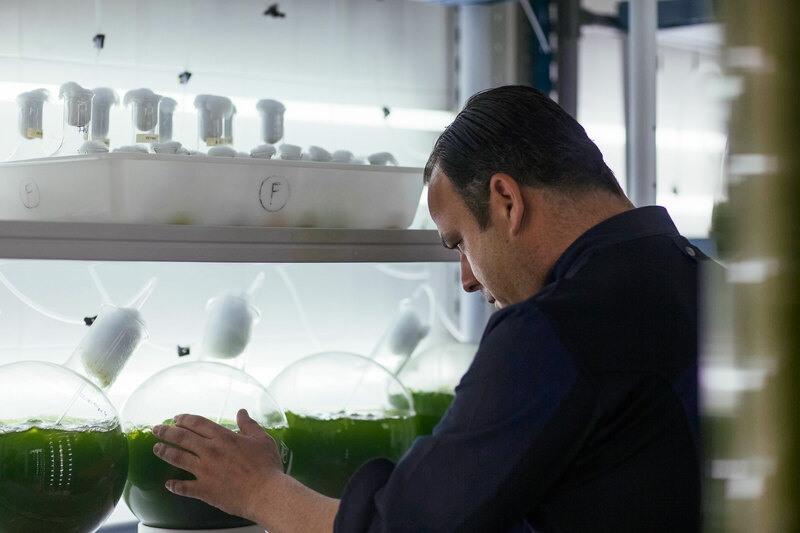 Aponiente tends to reinvent the concept around the sea. 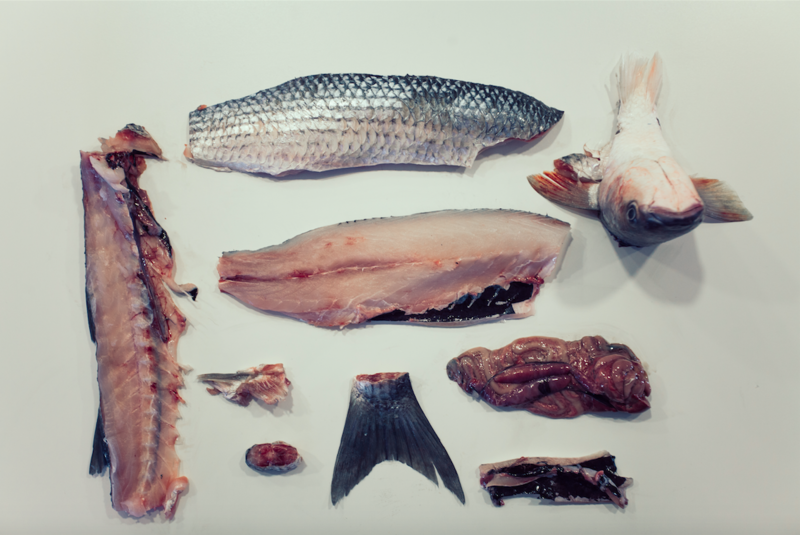 Today, we use fish, seafood and seaweeds for their flavor and textures. We make grilled fish, smoked fish, salted fish and fish sausages. We found a new form of telling a story around the sea. That is definitely the great value of Aponiente. Our obsession with the sea allowed us to reinvent the way we see it. It led us to a new style of cuisine, a radical and risky culinary language based on ingredients that no one usually considers food. 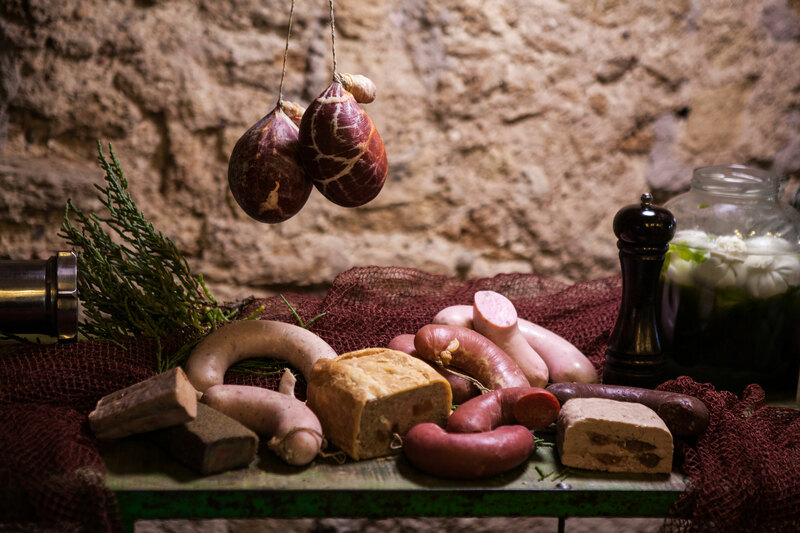 Our passion brought us to work on fish-based sausages, made of discarded fish, and allowed us to consider the nutritional properties of plankton, used as an ingredient. 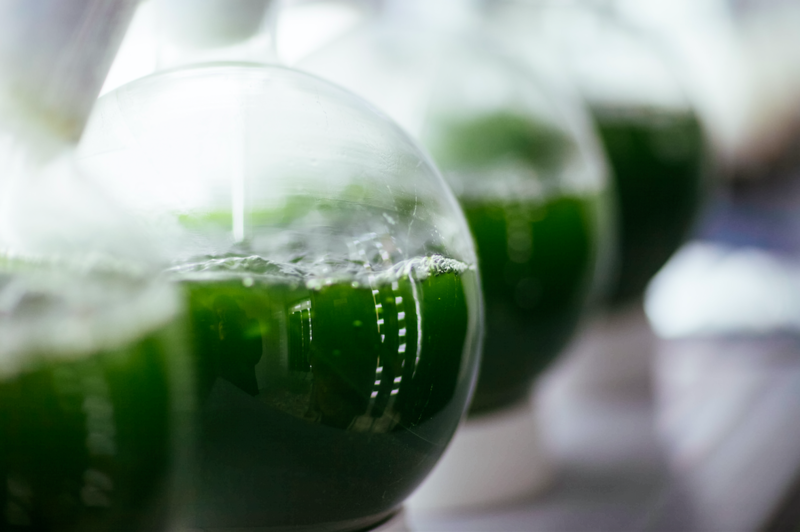 Could you tell us more about plankton in your kitchen? Being able to turn plankton into a cooking ingredient has been one of my greatest achievements. I’m always looking for the ocean’s flavors and plankton is the central component of marine ecosystems. It was a challenge for me to recreate its flavors. I even made myself sick experimenting with plankton. But today I feel more than happy to be able to serve plankton at dinner. Anyone who has tasted plankton in this house has got emotional. 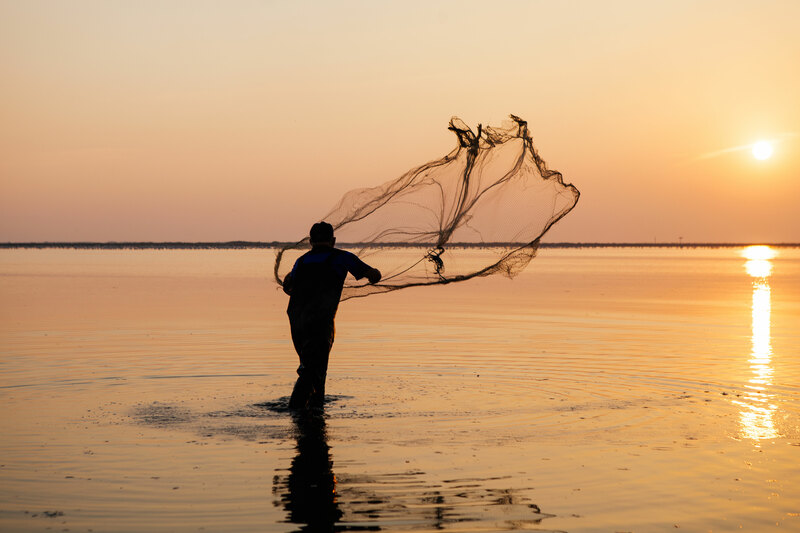 No matter what culture or religion, when you smell plankton, when you take it in your hands, you feel this connection with the ocean. I like to visit each table personally, and to see the first impressions of the clients when they first taste the plankton. Describe the place where your restaurant is located today. What makes this ecosystem so unique? From my old restaurant, I couldn’t see or smell the sea. That’s why the new Aponiente restaurant is the dream of my life. It’s the beginning of a journey. I always knew that I would end up working in a place like this, surrounded by nature. The restaurant is situated in a two centuries-old mill used to work with tides. We’ve restored it. 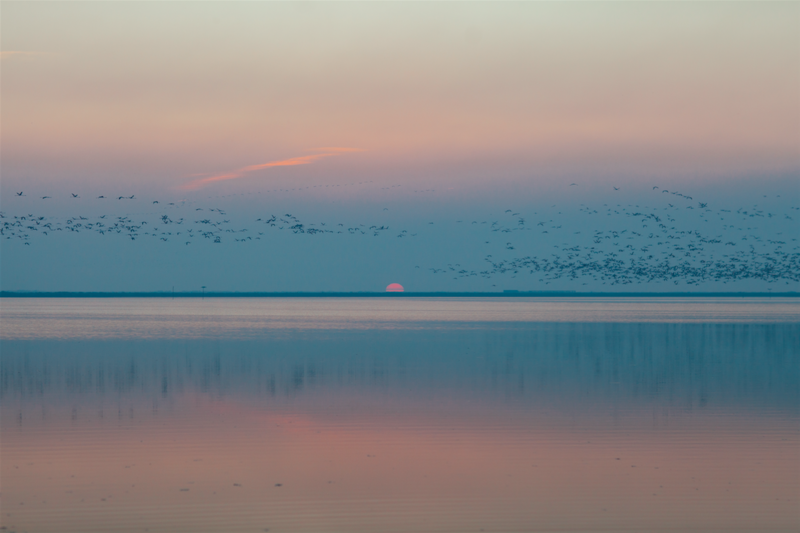 We’re lucky to be surrounded by water, the marshlands of Cadiz, an incredibly rich habitat full of birds and sea life. It inspires me everyday. You should see people’s faces when they come here… This place is magical. How did the Michelin stars affect you? I always say that the first Michelin star was sent by God. It saved the restaurant. We had a 180m²- restaurant. And in a 180m²-space, we received two Michelin stars. We were the smallest restaurant with 2 stars. Maybe our message was too massive, so serious in every level that it made that place big. A few years ago, we didn’t know what would happen. We didn’t know if people would understand us or value our work. That’s why the second star was the confirmation that people liked what we were doing, our cuisine, our instinct and manners. That was when things started to change. Today, beyond our small reality, people come from abroad to discover our cuisine. In our micro world, it’s very enriching to share experiences. People from around the world come to our restaurant and their reaction is « Wow ». That «Wow » is stronger than words. It’s emotional and gives us strength to keep fighting.